Our new and exciting Chime Choir…..
WACC’s new Chime Choir, calling themselves “The WACCY Chimers,” are seen here doing their first performance which took place at Pastor Ben’s Installation Service on January 27th 2012. At that time they played two octaves with 12 chimers. Now they play 5 octaves with 20 chimers. Carolyn Manning is the director and is looking for additional chimers to join the choir or be prepared to act as substitutes. Please contact her through the church office at (304) 263-5142. 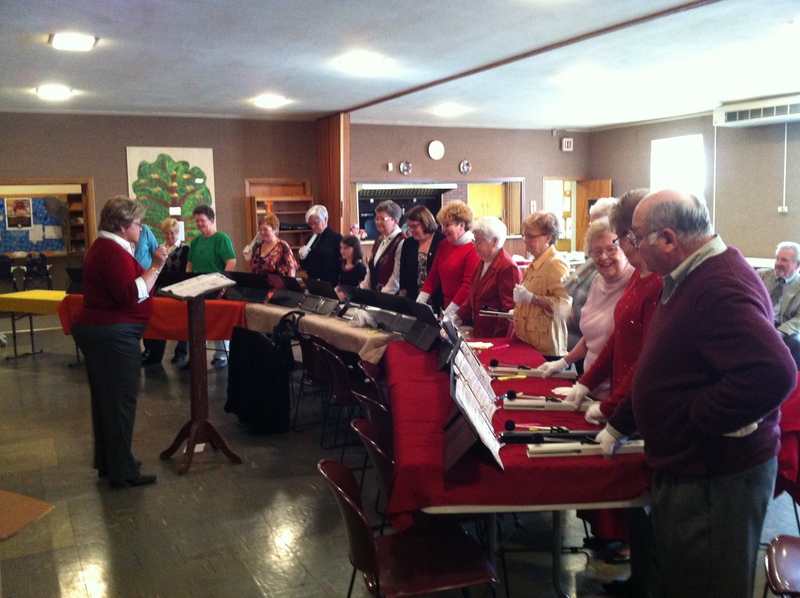 The following is the chimers rehearsing for Lent and Easter music. Can’t you tell how much fun they are having! We presently have 12 chimers.